Snake Mountain Boatworks is Michael Claudon, John La Fountain and Roger ‘RJ’ Towle. 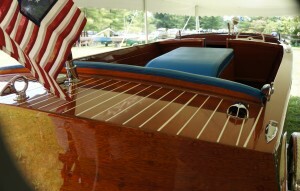 We know our way around, in, under and through wooden boats. Communicate with you while we work to uphold the highest standards of craftsmanship and return your boat to you when promised and without excuses. Store your boat inside or outside in our facility that is protected 24/7 by sophisticated security systems. Let us address her issues small and large during the winter so she is ready to go in the spring. 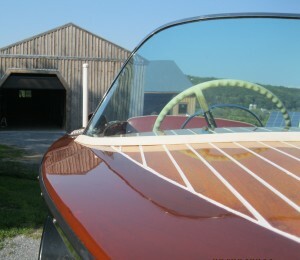 When she left the Chris Craft factory in 1948, the company expected this seemingly beautiful and sound little Chris Craft Utility Deluxe to last 8 to 10 years at most. She was now over 60 years old, and, while her fit and finish were a bit rough here and there, and the hardware was ready for rechroming, she really looked pretty sound. In fact, having tested the engine and finging that it ran pretty well, after running a hose into her bilge for 10 days to “soak her up,” down to Lake Champlain we went for a test. She did pretty well, and even reached speeds of 40 MPH. But little did we know what lay between us getting back to shore and the water pounding the hull from below. Her bottom planking could not be salvaged. Ninety percent of her ribs were shot. 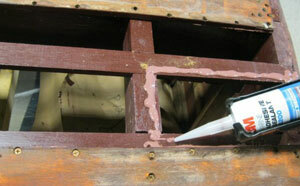 The bottom bow in the transom was mostly dust. Given her age, she almost surely has gone through several, and maybe as many as six major overhauls. But she was ready again, as is the case for most of the boats that come into the shop. We make every effort to save every stick of original wood that we can, but not at the scrifice of delivering a sound boat back to her owners. We source our marine hardwoods and plywood from Americas’ Wood Company in Washington, ME, and from the A. Johnson Company of Bristol, VT, and use nothing but FAS Pattern Grade lumber in our restorations. Watch a 1948 Christ Craft Utility Deluxe aft deck replacement. Gunwales gone bad on a Lyman Cruisette. Watch steam bending of a Lyman Cruisette’s forward port rub rail. Watch a 26′ Lyman Cruisette fly. The 26′ Lyman Cruisette has landed … on dollies. Watch as the fully-restored 1957 Century Resorter leaves the shop for delivery to her owner. Watch as the Drake, a 26′ Lyman Cruisette emerges from a complete hull, deck-framing restoration and installation of exquisite seamed teak plank decks. Well, finally she did float, but all summer Pete was plagued by leaks. There had to be a better way! Fiberglassing the bottom would keep water out, but only at a high cost. Boats are in water and they ship water, or get rained upon. At least some of that water seeps through the bottom planking and sits there between wood and fiberglass. First the planking and then the framework rots from the wet side in. Ahh…. then how about removing the entire bottom planking and applying copious amounts of West System Epoxy between the frames and bottom planking? Not only does doing so create a variation on the fiberglass problem, wooden boat hulls flex as they race through the water. West System does not flex, however, so the first hard hit translates into failed epoxy and, yes, leaks anew along with the rotting. AT SMB, the 5200 is also applied to the framework to which the plywood is attached, but only after all surfaces of the framework and marine plywood receive two liberal coats of Smith’s Clear Penetrating Epoxy Sealer. We tried all manner of chemical strippers. In a phrase, what we got for our efforts was a big mess every time. And no matter how careful we were, these harsh chemicls either ate whatever we wore for gloves, or, in the case of one water-based “stripper,” failed to burn our skin but also failed to release anything but tired topside paint. DeWalt offers a great heat gun, and Sandvik sells expensive but highly effective and super-tough scrapers. We now remove all sorts of finishes without the gooey mess, without burning our skin, and without leaving chemical residues in old mahogany and oak. 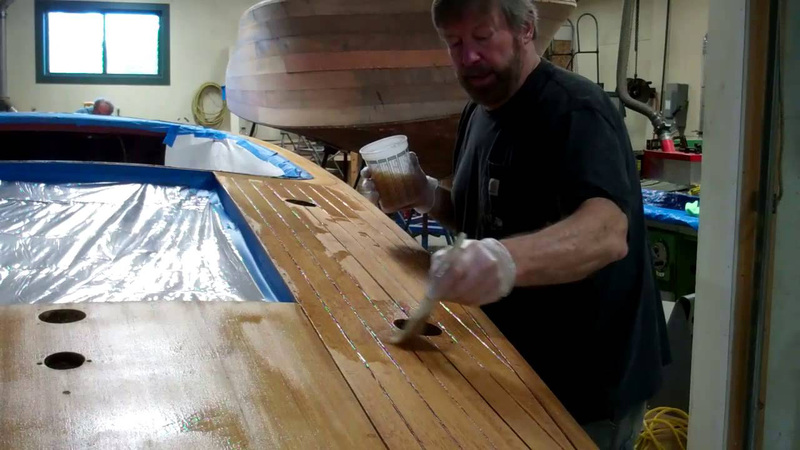 Watch us complete the deck striping on a 1957 Century Restorter. 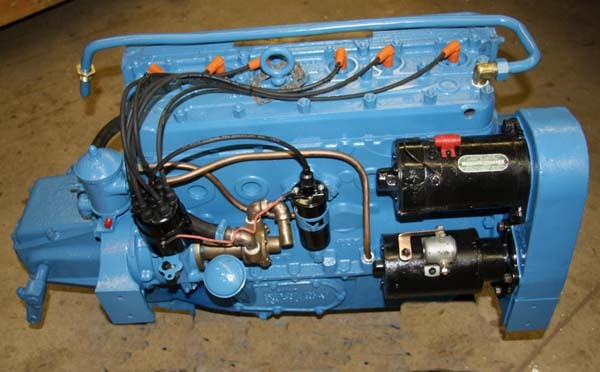 The SMB crew brings a combined 50+ years’ experience building, repairing and upgrading all manner of engines, drivelines, transmissions and the like. Sorting out electrical and wiring issues, from a single circuit to rebuilding entire harnesses sits squarely within our sweet spot as well. However, when faced with freeing and rebuilding seized engines, machining cylindars and cranks and cams, we turn to one of the country’s foremost outfits, Restoration and Performance Motocars, with whom we have an exclusive relationship. Headquartered a scant 10 miles from our shop, RPM, which built its reputation for restoring classic European motorcars to nothing but the highest standards since it was established in Vergennes, VT, in 1986.